We’d love your help. 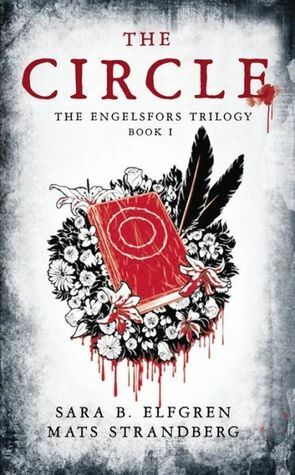 Let us know what’s wrong with this preview of The Circle by Mats Strandberg. On a night after the apparent suicide of high school student Elias Malmgren, a blood-red moon fills the night sky. Minoo wakes up outside her house, still in her pajamas, and is drawn by an invisible force to an abandoned theme park on the outskirts of town. Soon five of her classmates--Vanessa, Linnea, Anna-Karin, Rebecka and Ida--arrive, compelled the same force. A mysti On a night after the apparent suicide of high school student Elias Malmgren, a blood-red moon fills the night sky. Minoo wakes up outside her house, still in her pajamas, and is drawn by an invisible force to an abandoned theme park on the outskirts of town. Soon five of her classmates--Vanessa, Linnea, Anna-Karin, Rebecka and Ida--arrive, compelled the same force. A mystical being takes over Ida's body and tells them they are fated to fight an ancient evil that is hunting them. The park is a safe haven; the school, a place of danger. The six are wildly different and definitely not friends…but they are the Chosen Ones. As the weeks pass, each girl discovers she has a unique magical ability. They begin exploring their powers, but they are not all firmly committed to their mission--to discover the truth about Elias's death. Then a horrible tragedy strikes within the circle. Newly determined to fight the evil forces, they begin to learn magic from The Book of Patterns, an ancient work with a will of its own that reveals different things to different witches.